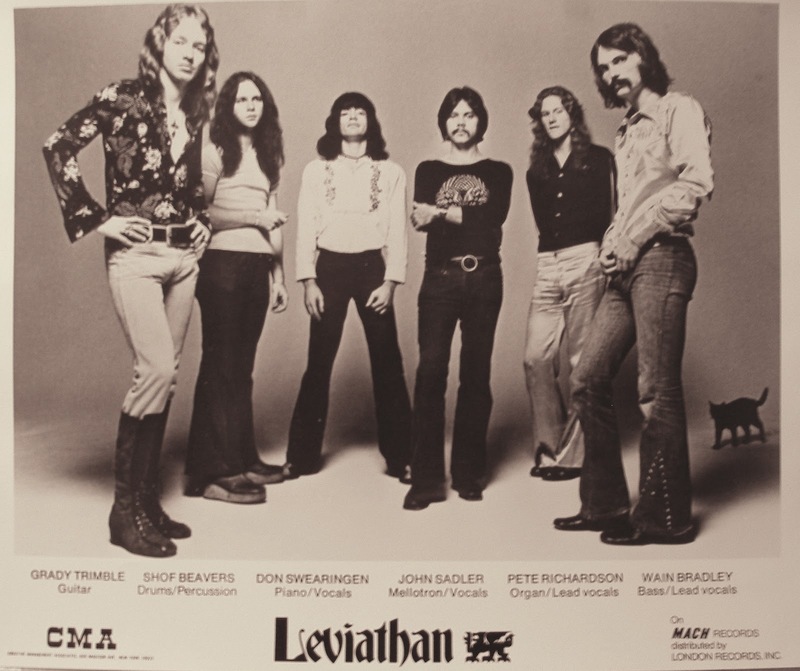 Leviathan were progressive hard rock band from Memphis. They released an LP and toured for awhile. After that a new band was formed called Companion. Let’s start our interview with a few words about your childhood and teen years. Where did you grow up? I was born in Little Rock(sounds like a Stevie Wonder song). Grew up in St. Louis. The first album I bought was Ray Charles Greatest Hits, still an awesome record. Got a Silvertone guitar(who didn’t?) and started playing in friend’s basements and parties for free. I soon realized, girls like guys who play in the band. After high school, we moved to Memphis and I started college and played in a band to help pay bills. Memphis was an exciting and sometimes dangerous place to live then. In the late 60’s and early 70’s, the whole counter-culture was fueled by music and drugs. Anytime a good local band played, all the freaks would come out. Lots of joints were passed and you would hang with friends and listen. Even then, Memphis was a huge talent pool, deep pool. Some of the local bands did west coast psychedelic, lots of feedback and killer light show, others did the power rock and big vocal. Jimi Jamison was one of the premier vocalists in town, great singer and good guy. 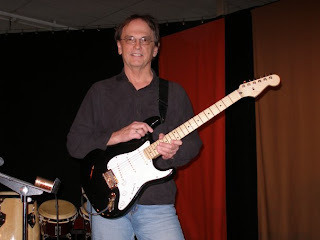 I was playing with the Changin’ Tymes, we did mostly Byrds and Beatles for 3 hrs. Memphis has a very nice outdoor amphitheater, The Shell, groups would put on shows there and thousands of people would come out, catch the performances and give some money so the bands could get paid. Those were amazing, dare I say, very electric times. 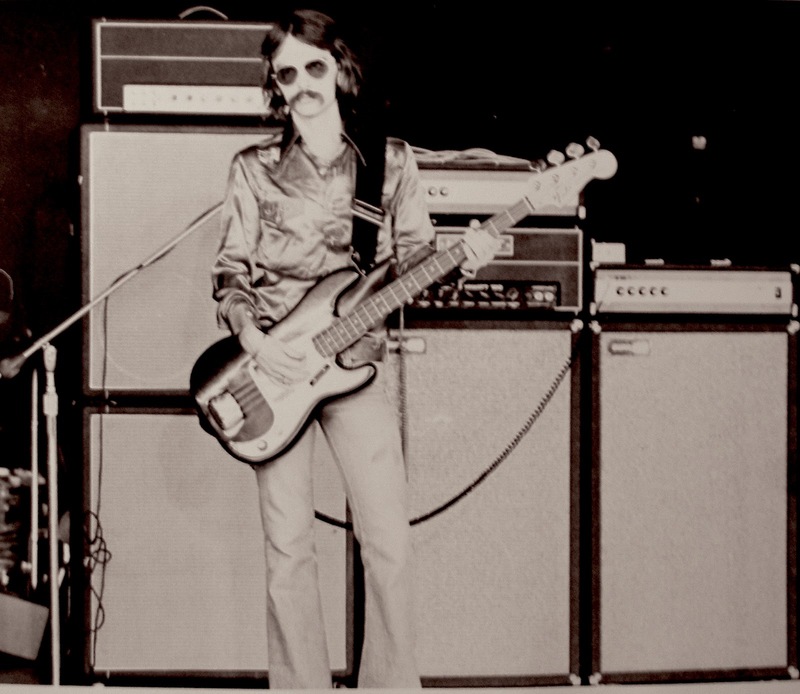 Ron Hall wrote a book called ” A History of Garage and Frat Bands in Memphis 1960-1975″. Great read and bios on most of the bands. In the early 70’s, you started the band called Leviathan. Were you in any other bands before that? Any releases perhaps? Several. The whole time I was in college, I was playing in a band. There was FOX, a power trio led by Dan Woznick, all original material. Followed that by several years playing with the Changin Tymes. A 45 was released on the MUMA label. That was a time if you had a record out it was a very big deal. After I got out of school, I played for a year in a horn band that relocated from Little Rock to Memphis. It was some of my material with that band that interested a record producer from Muscle Shoals, AL. He asked me to think about my own band. That idea became Leviathan. Why did you choose this name and what are some memories from early basement sessions? 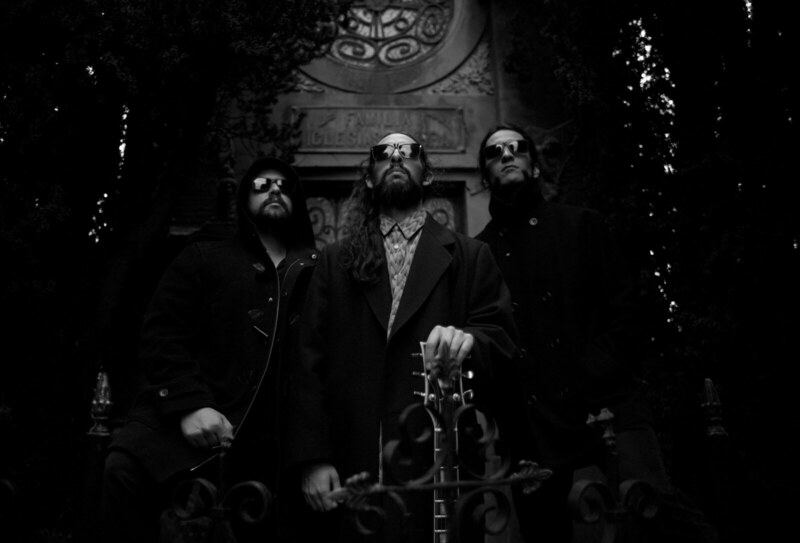 Our material and especially the lyrics were some what dark and maybe a little mystical, things we called “Eternal Truths”. 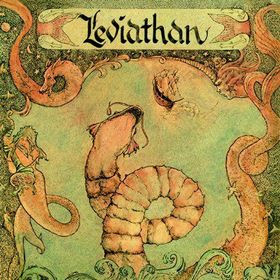 Leviathan a creature/demon is written about in the Old Testament, Job 41, and the great thing was, when the name was mentioned, each person had a different idea about what one looked like. Truthfully, it helped market the band because the name spoke to a heavier style with lots of orchestration. We where a six member band with three keyboard players. We had an outrageous vocalist and one of the keyboards was a Mellotron. We would do Stairway to Heaven and people would go crazy. How many times did we play Stairway to Heaven?? We didn’t have three hours of original music at time, so we did our favorite cover tunes by Yes, Genesis, Moodys, Crimson, Trapeze(a great heavy rock group from Britain who we actually did shows with later). There may have been better bands in Memphis, but there was nothing close to what we did. Did the band release any singles before your first album? We didn’t. Our first album only contained 7 cuts. Most were much to long for Top-40 radio. There was one cut, Always Need You, which actually would or could have been appropriate, but London Recs was inept at how to break new artists. There idea was, throw it out there if the public demanded more, they would drop ship albums to that area. 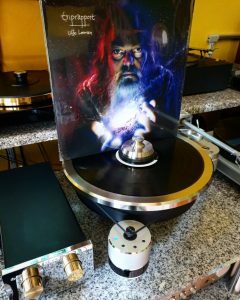 The Leviathan album made the cover of Record World and got a “pick” in Billboard(very big deal) and we would show up in a city to do a concert and London hadn’t even bothered to ship product to support our shows. If you were the Moody Blues, you were royalty, but every other act we knew or worked with on that label, jumped to another label first chance. And it also didn’t help that Willie Mitchell, told the exes at London to spend little or no promo money on Leviathan, it all went to Hi’s R&B acts. Did you ever have concerts as Leviathan? Where and with who? With the release of the album, we signed to ICM in NY. They booked most of the better prog bands of the time and we played shows all over the US with their other clients. 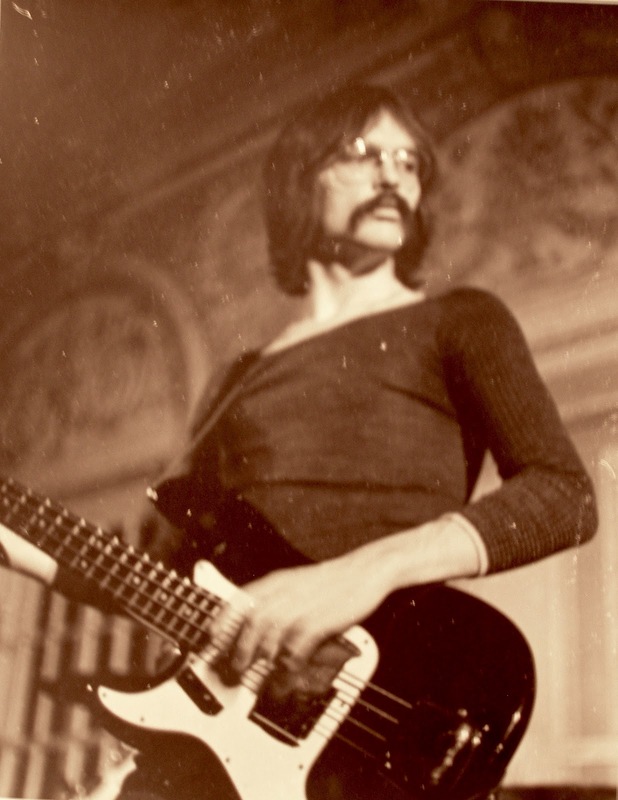 We did dates with ELO, shows with Manfred Mann, Caravan, Curved Air, Trapeze, Camel, Hawkwind, Renaissance and others. We were based in Memphis so we would leave, travel the east cost and work our way down to Florida, then back home to record second album. We ended up with a huge following in Fla. Most of our shows would be in small theaters or halls, maybe a thousand people, where we would headline. Those were my favorite, great times. One of the best was in Memphis at “the Shell” in front of about 8000 home folks where we headlined. EVEN Big Star had to play in front of us. LOL. In 1974 you released self-titled album. 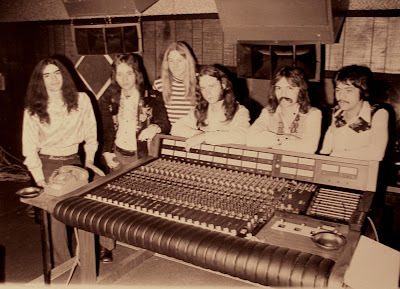 Leviathan was based in Memphis and you got to know Hi Records producer Kenny Smith and Hi studio manager Bill Taylor. The two convinced the president of Hi Records to sign the group to their Mach/London label. Tell us about the production and recording of this LP? Hi records owned an old movie theater, Royal Studios, where Willie Mitchell recorded all of his acts, Al Green, Ann Peebles, etc. All of those records where done on an old 8track recorder with an actual homemade console. London Recs came in and requested a newer 16 tk recorder and a real multi-input board. Kenny Smith had access to use the new gear and I’m fairly sure we were the first album recorded on it. Kenny and Bill Taylor cut a deal with Nick Peschi, the President of Hi, and with contracts signed, material was selected to record. Over the weeks between playing local dates, we tracked the record. I had 4 songs selected and the other guitar player had 3. We were not allowed to touch ANY of Willie’s home-rig. This really wasn’t a problem as we used all our own instruments and certainly funky was not part of our DNA. Much of the album was recorded live with limited overdubs. The production value was a little more raw than we first wanted by doing it live. Also, Kenny had little idea as a producer, how to control a sound as massive as ours. I had different ideas how I wanted our material to present and there were unhappy moments over production decisions made. 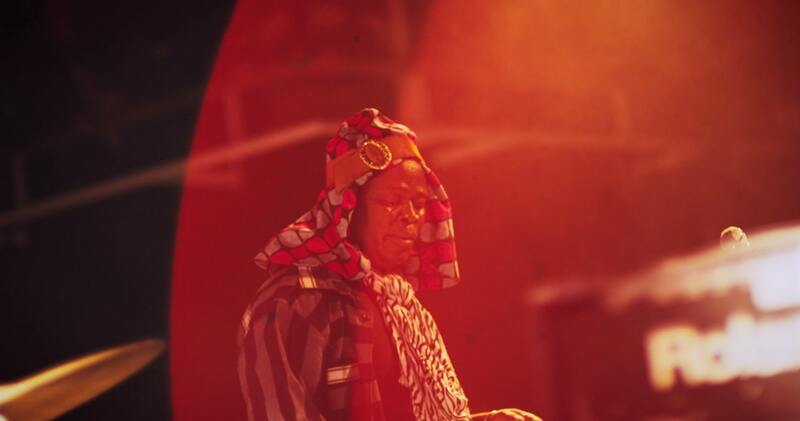 The lessons I learned then, would translate to my career later as a producer/engineer. 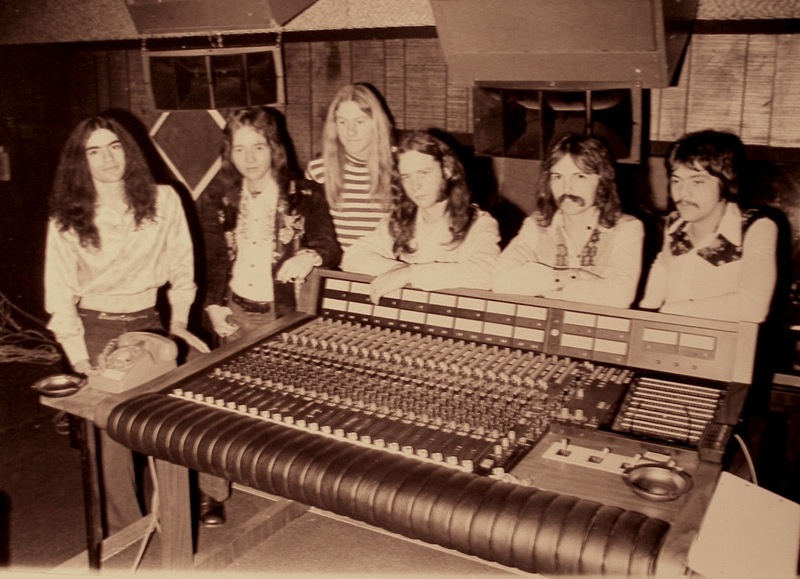 I know, we were certainly one of the first American bands to use a Mellotron and that became part of our signature sound. The B3 organ player, Pete and myself overdubbed the vocals. I was a good singer in my own right, but Pete was a world class vocalist. The album was released. It received plenty of interest but that was when we experienced the lack of support from London records. To be honest, we could never find out how many they pressed and where did most go. For several years I would receive letters from people all over the US who had purchased or borrowed a copy and how much they liked it. So I knew they were floating around. Because I was willing to take my own time to “work” the album, we had areas that the band did very well. I would keep a box of albums in the truck and if a radio jock happened to be at a show, I would slip him a copy and ask for an interview. London should have paid me as a promotions person. We spent another year signed to London and recorded a concept album called “The Life Cycle”. Very experimental, very complex musically. When it was completed, sent it to London in NY and they agreed to release a single(?) and then later told us, “it sounds to much like the Moody Blues and we don’t need another band like that”. WHAT, they didn’t want to make any more money?? A&M courted us but nothing was signed. By now the frustration had taken it’s toll and Leviathan was unraveling. When mr.G decided to leave the band and go home, we needed a guitarist. I had played with Brit Warner in the Changin Tymes and I knew what a great player and singer he was. So the last 6 months we worked as a band, Brit folded in. Musically, it was the best we ever were. Brit was a much more versatile player and was a quality singer. Between Pete, Brit and myself, our vocals could stand with anyone. By then however, to many damaged egos and the band was over. GOOD BYE TO YOU! band live was very experimental. Lots of vocals, layered guitars and synths. We used massive equipment and had a very melodic sound. Very prog for Memphis. 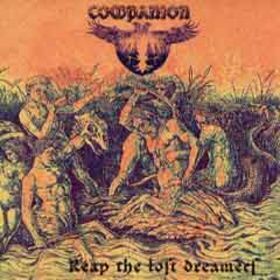 What would you say was the concept behind the Leviathan and Companion albums? The album cover was a mock-up sent to investors as an idea. They thought we wanted it and had it printed and released on the original. When Akarma Records re-released the album, I asked for the kind of cover we wanted to have the first time. Akarma actually re-released both the Leviathan and Companion albums on LP as well as CD. They did well enough that people would email me wanting to know if we were coming to Europe to play. No. My new career. I have my own production company, Bradley media, in Little Rock and we are closing a world wide distribution deal with Echelon Studios in LA for release of our first feature film. Written and directed by Jett West, I was producer/online editor/sound designer. Called Tuckerman www.tuckermanmovie.com it’s a paranormal thriller. Echelon will do DVD and VOD for Tuckerman through their distribution channels. We have started our next feature. Script is written(a Creature Feature) and we are searching for talent to commit and of course investors, uh, Executive Producers. Our goal will be to make better and better films and try to do bigger budgets. Thank you very much for taking your time and effort! Would you like to send a message to It’s Psychedelic Baby readers? Music is the language that speaks to us in ways that words can’t. I just stumbled upon your sight. I thought I was the only one who had ever heard of Companion. I was looking for cover art for my album I just recorded to my PC. My copy of "Reap The Lost Dreamers" is way different. By the interview, I'm quessing I have the original cover. A man standing on a stump with a tree on each side, with a blue back ground. Kinda hippie-ish in design, With sticker on it saying "Companion is here!" yes I think you have the original cover. Very funny interview. I really like the comment about "to many damaged egos" as the only person with ego problems was Wain... oh well.